ANAAL NATHRAKH was created for one purpose – to be the soundtrack for Armageddon, the audial essence of evil, hatred and violence, the true spirit of necro taken to its musical extremes. Since 1999, they have gained a reputation for embodying precisely these things – and now, with their new album, ‘The Whole of the Law‘, ANAAL NATHRAKH has reached the very height of their twisted powers. Due out TODAY via Metal Blade Records, ‘The Whole of the Law‘ marries all of the two-piece’s trademark ferocity and against-all-reason-catchiness with a reinvigorated sense of focus and insane hatred. 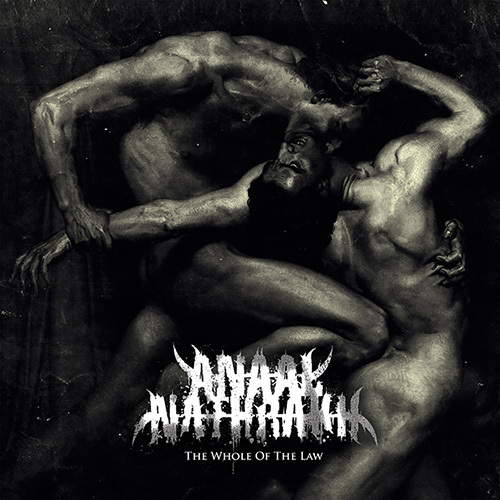 You can now enjoy a full album stream at metalblade.com/anaalnathrakh – where ‘The Whole of the Law‘ can be ordered as well in different formats! Uniquely hallmarked by breathtaking musical intensity, inventiveness and breadth, married with mercurial, misanthropic and sharp intelligence, ANAAL NATHRAKH‘s sound is imbued with a palpable sense of menace that is virtually unmatched in metal. Hailed as “terrifyingly heavy and fierce” (Decibel Magazine), “a master class in extreme metal” (MetalSucks.net), and “…a thrill ride of horrors” (Pitchfork.com) for their previous eight albums and EP, ANAAL NATHRAKH has out-done themselves with ‘The Whole of the Law‘, a sandblasting assault similar to the experience of a demented ocular surgeon operating on one’s head while riding a rollercoaster through hell. Simultaneously fresh and their most mature creation to date, ‘The Whole of the Law‘ will surely earn accolades from fans and media alike, once again. See below for the official track-listing!